To the manor born. That’s how we feel pulling through the gates of Mount Juliet. Cruising through the Kilkenny countryside, we pass golfers on velvety greens, riders on handsome horses, and stop by a Georgian mansion overlooking the River Nore. Parking the car, I instinctively check that my shirt is tucked in. I flatten down the four-year-old’s fringe. It’s that kind of place. And we have arrived. So it’s all big bucks and best behaviour? 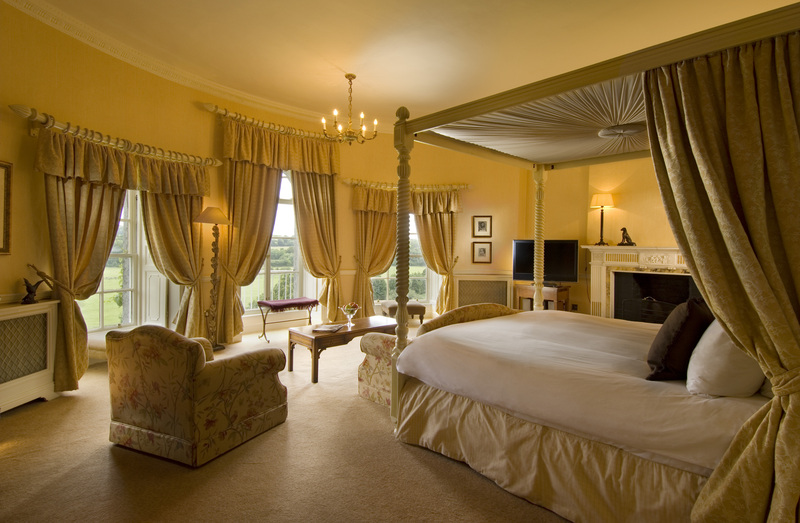 Surprisingly, Mount Juliet is a four-star hotel. Its facilities are very much what you’d expect of a luxury resort, however – from the 18th century house at its heart to the Jack Nicklaus-designed golf course, spa treatments, fishing and equestrian options. Rooms in the manor can be pricey, but families can sneak in at a more affordable rate in the Clubhouse or Rose Garden Lodges. The latter are available from €1,550 per week (with kids’ programme) during school holidays, which works out at €55pp per night for a family of four. Did the kids enjoy it? What’s this about a Michelin Star? Kilkenny is the new San Sebastian. Well, kind of… Campagne in Kilkenny City and Mount Juliet’s Lady Helen Restaurant both won a Michelin Star last year. Dinner at the Lady Helen is always good – and occasionally exquisite – with delicate compositions like cod served with smoked eel, potato, lemon, parsley and hazelnut, or Challans duck with bulgur wheat and ras el hanout (a North African spice mix), dished up in a beautiful suite of rooms. Cormac Rowe and Ken Harker (executive and head chefs, respectively) are dynamic and accomplished young chefs. Is it all fanciness and finery? If the lady Helen sounds a bit stuffy, try the more casual Kendal’s – or grab some bar food in the clubhouse (the best seats are in the conservatory-style extension). You can muck about on the estate, too. 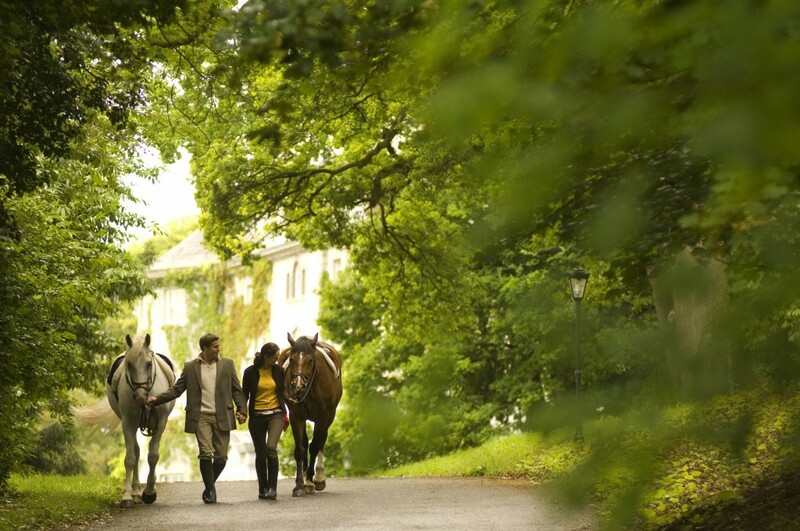 Mount Juliet never feels pretentious – and its woodland walks are great for a stroll. The cafes of Thomastown and Inistioge are down the road, and staff at the equestrian centre really know their stuff. Yes. Mount Juliet is a magnificent estate, but the devil isn’t always in the detail. We found the gents’ leisure centre changing rooms needing a lick of varnish, for instance, and the service was at times a little too variable for a resort of this reputation. Here’s an example. Guests of the lodges eat breakfast at Kendal’s, but we wanted to experience the Lady Helen – so we specifically requested breakfast there one morning. We arrived to find we couldn’t be accommodated, however. The house was booked by a private group “who have paid for it”, we were told, before being despatched back to Kendal’s (where, ironically, the service was warm and friendly). All’s well that ends well, however. When we complained, management promptly offered a late check-out and complementary afternoon tea. Nice recovery. A Taste of Wednesday offer includes B&B and a Michelin Star tasting menu from €129.50pps. That’s excellent value. Contact 056 777-3000 or mountjuliet.ie. What’s a River Cruise Really Like?